Tudip has a very streamlined Recruitment Solution for the HRMS that we offer to our clients. Recruitment Solution is a comprehensive software module that supports the hiring process from start to finish. It is fully configurable and can be customized and streamlined in order to suit the requirements of the hiring process. The productivity of the hiring process is greatly increased with the application, which makes the recruitment process so much more efficient. 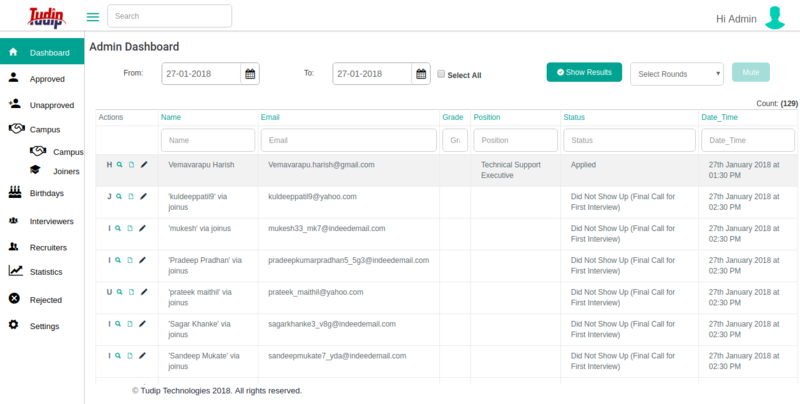 The application manages the user registration, exam scheduling, interview management, feedback about the candidate and many other tasks. Having the Recruitment Solution is the best way to be sure that you source the talent that you need for your company efficiently. 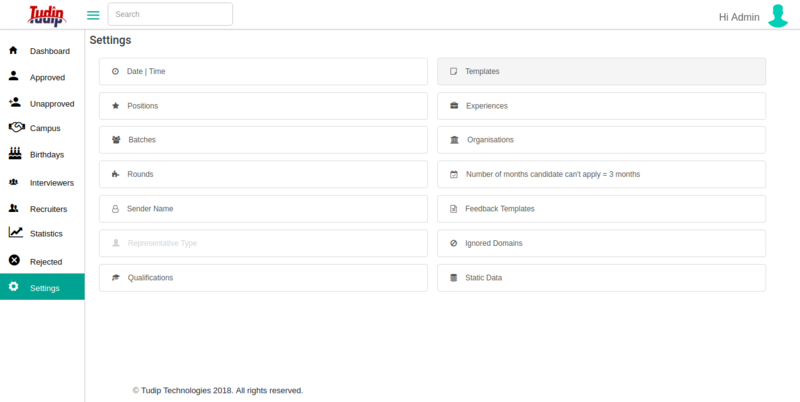 It also automates a large part of the recruitment process. Custom email templates can also be created using the application. 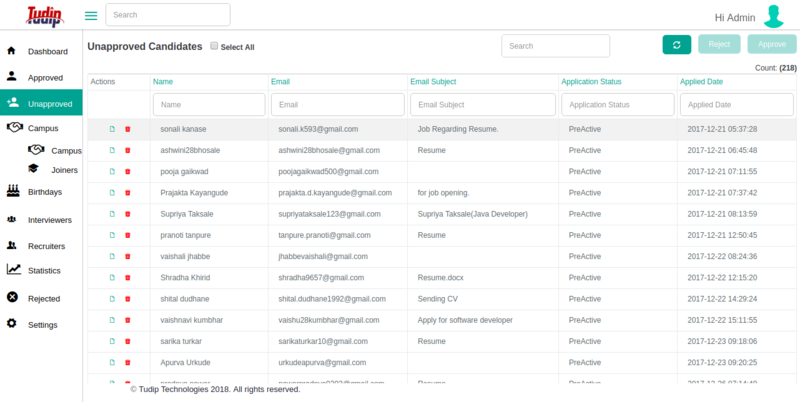 The application can easily integrate with job portals so no more worries with respect to the resume sourcing.